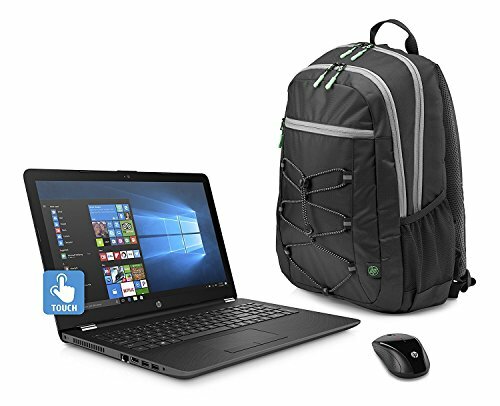 HP 15.6" HD Touch Screen Laptop Bundle , AMD A12-9720P Quad core processor 2.7 GHz, 8GB DDR4, 1TB HDD, DVD, WiFi, Webcam, Windows 10, Gray, Wireless Mouse and Backpack Included. 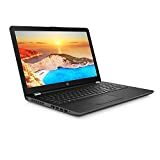 Specification: 15.6" diagonal HD Touchscreen SVA BrightView WLED-backlit (1366 x 768) AMD Quad-Core A12-9720P APU (2.7 GHz base frequency, up to 3.6 GHz burst frequency, 2 MB cache) Integrated AMD Radeon™ R7 Graphics 8 GB DDR4-1866 SDRAM (1 x 8 GB) 1 TB 5400 rpm SATADVD-Writer Full-size island-style with numeric keypad;Touchpad with multi-touch gesture support;802.11b/g/n (1x1);Integrated 10/100/1000 GbE LAN;1 multi-format SD media card reader;2 USB 3.1 Gen 1 (Data transfer only); 1 USB 2.0; 1 HDMI; 1 RJ-45; 1 headphone/microphone combo Webcam: VGA webcam (front-facing) with integrated digital microphoneAudio features: DTS Studio Sound™ with 2 speakers Power supply type: 45 W AC power adapterBattery type: 3-cell, 31 Wh Li-ion Minimum dimensions (W x D x H): 15.1 x 10 x 0.9 inWeight: 4.52 lb Operating system: Windows 10 Home 64 Wireless Mouse and Backpack are included. Wireless Mouse and Backpack are included. Windows 10 brings back the Start Menu from Windows 7 and introduces new features, like the Edge Web browser that lets you markup Web pages on your screen.